Hello there. It seems you have stumbled across the little space I have carved out for myself in the internets. Welcome! 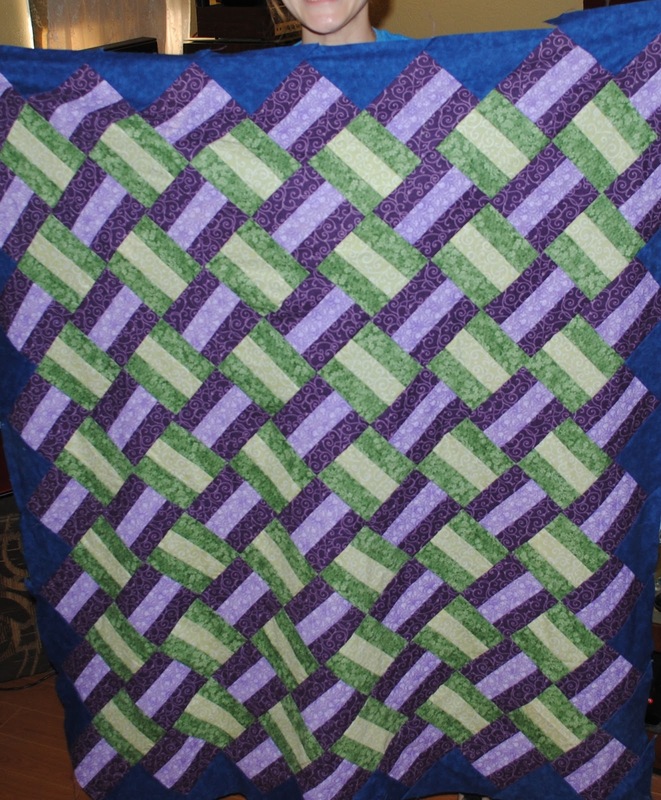 This is my first ever quilt top! :D It is far from perfect. I set it aside well over a year ago because the rows weren't lining up perfectly and I really didn't want to go back and do it all over again. But then I got a sudden inspiration to finish it, flaws be damned. This inspiration likely came because of a powerful need to put off doing homework... But I finished it! It hasn't been quilted yet- I have been practicing my quilting skills on a much smaller scale before I tackle the whole quilt top. But I want to get it all done this winter. Maybe even before the new year! That would be lovely. In the mean time, to hone my skills, I have decided to make pillows. Why pillows? My couch is pretty much made of (ugly) pillows already. But I figure pillows are good, cute little projects to help me practice patchwork and quilting. Pillow number 1! I was so proud of myself for finishing it! I am less proud of this picture. I don't know how I turned on that ugly date stamp. It will have to go next time. I wish I could work on another one right now! But alas, it is not meant to be tonight. Well. Thank you for stopping by! I plan to make this a regular thing, so come back sometime soon! In the mean time, I will be reading, reading, reading about quilting until my arm feels better. See you around! Thank you, Janine! I'm definitely a novice, but I'm practicing all the time :) there is so much great information and inspiration in blog land, too. When I don't have time to sew, I'm always reading lately! Thanks for stopping by!